Bismuth's self-titled debut album is a world on its own, but there is another something quite unique about this album. We've got two editions, a normal one, and the extra very special edition. We would like to introduce you to 'the Svikt': an instrument specially designed by Yuri Landman as part of the debut album of Bismuth. A part of it? Yes, the Svikt is a part of the sleeve.. 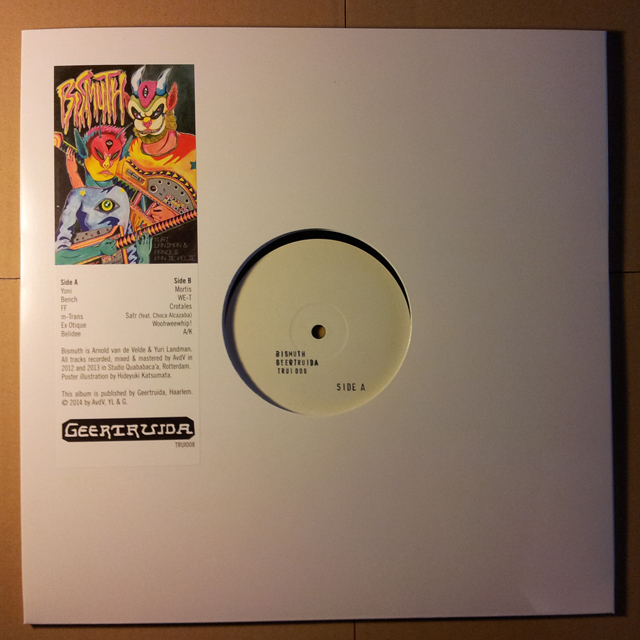 Anyone who orders the special edition vinyl will receive the Svikt as part of the album. Soon you can see some photos of this weird little instrument below. But we already made a little instruction video, check check check below. The special editions are hand numbered, hand built and assembled by the band, and there will be a limited amount made. The instrument will not be sold apart from the album. Of course you can also buy the normal vinyl edition (poster included with the first 100). Click those links in the sidebar. Or get one at a Bismuth live show! To prevent damage, please separate the instrument from the record before use. Adjustment of the plate that holds the string might be necessary. If you run into any trouble please contact us! Normal edition comes with download code and the first 100 with poster. 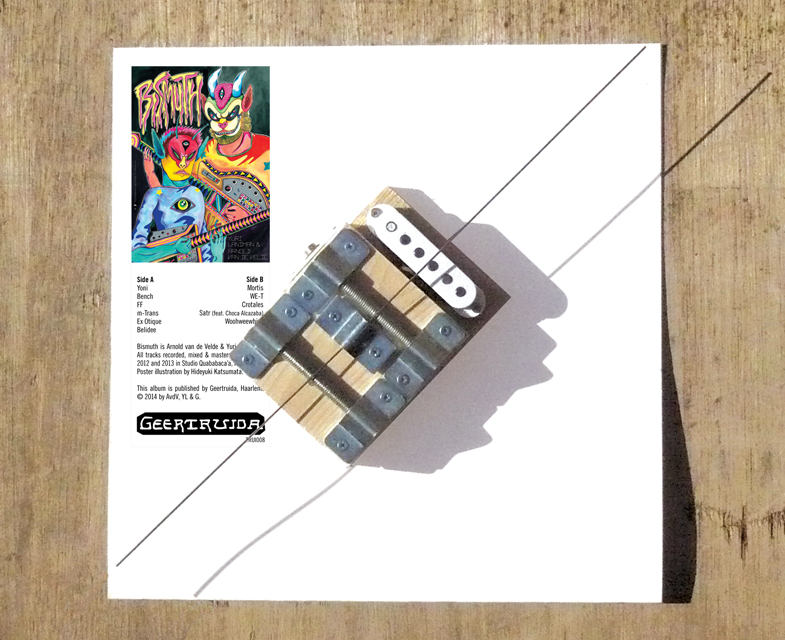 Special edition comes with download code, poster and specially designed Yuri Landman instrument.